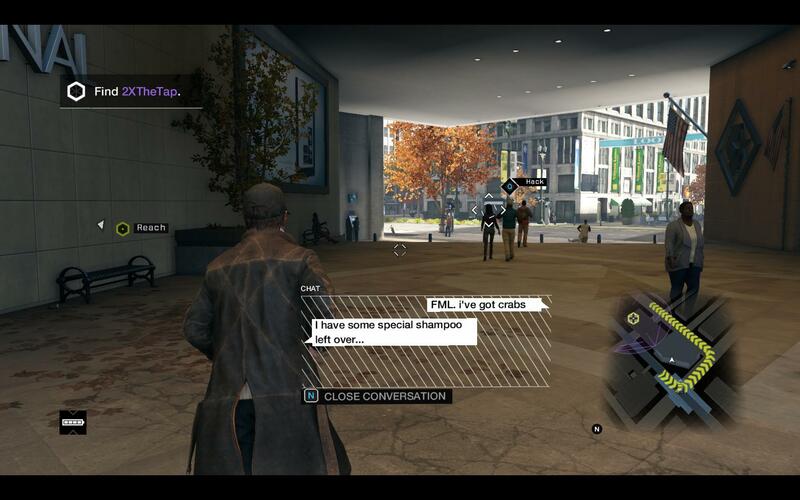 The Refined Geek » Watch_Dogs: Letting Go Isn’t an Option. Watch_Dogs: Letting Go Isn’t an Option. The evolution of open world style games has been pretty interesting to watch. The gold standard has (and likely will be for a long time) the Grand Theft Auto series which grew from a humble 2D car stealing simulator to the vibrant organised crime simulator today. Indeed this is how most open world games progress, starting out with a core idea that then has a bigger and better world built around it as the successive titles roll on. Watch_Dogs is no exception to this, with its core idea focusing heavily on hacking, enabling your character almost superpower like qualities. 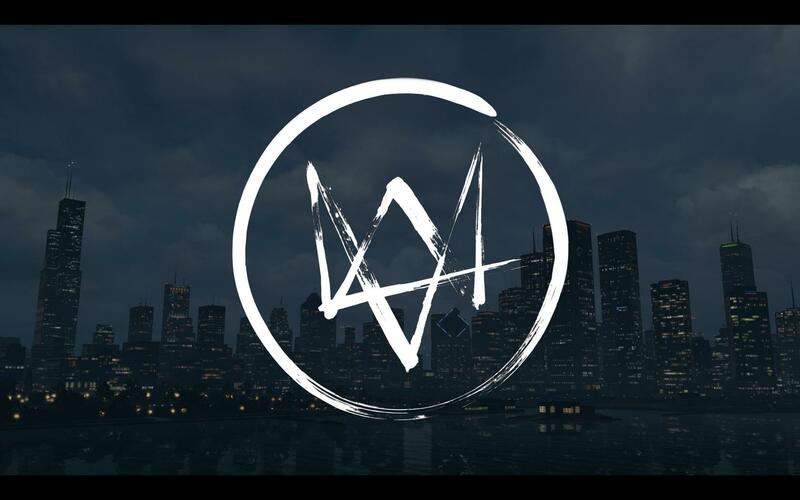 Whilst the execution of this idea has drawn ire from those who bought heavily into the hype Watch_Dogs is one of the better first entries into the open world genre, something which should be expected from the veteran open world developer Ubisoft Montreal. Aiden Pearce is a man tormented by his past, the guilt of his niece losing her life instead of his in a botched assassination attempt has weighed heavily and he’s spent every one of his waking moments since then looking for answers. He’s not beyond reproach however as the guilt has clouded his sense of right and wrong, instead dealing out his own brand of justice wherever, and to whomever, he deems fit. Inevitably this comes back around to him and he is forced into doing things lest more harm befall those he cares about. The tale of his journey from here on out is one of obsession fueled by a passion to right what’s wrong with the world with no regard to the cost to himself. If you’ve read anything about Watch_Dogs recently there’s been numerous complaints about how the graphics don’t seem to be up to the same standard as they were in the E3 demo. As someone who’s playing on a 3 year old PC I felt the graphics were around the same standard as what I’ve come to expect from most open world games which is to say that, compared to the video, mine certainly don’t look as good. However I feel we should most likely temper our expectations since that was shown as a demo and was likely running on a hardware system that few would have running. That follows on to why it probably looks sub-par on consoles as whilst they’re powerful machines for the money you’ll spend they just can’t match a PC for raw grunt. That being said my console playing brother said it looked great on the XboxOne and had no graphical issues at all so it seems your mileage may vary considerably. True to its open world genre Watch_Dogs has a lot of things packed into it, from mechanics to skills to the numerous side missions, mini-games and unlockable content. 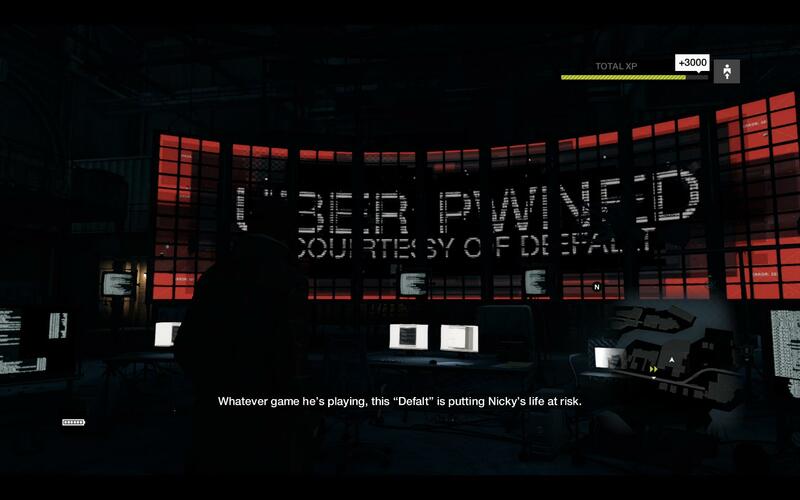 The star mechanic of Watch_Dogs is, of course, the hacking which is best described as a real world superpower that allows you to do all manner of things that regular people simply can’t. The hacking also extends to your car, something you’ll be making heavy use of since you won’t be able to use your guns whilst driving. The combat is your typical 3rd person shooter affair with your arsenal of weapons being extremely varied and including hacking inspired augments that can give you the edge when you’re grossly outnumbered. Should you find yourself bored with the campaign you can take part in the numerous NPC side missions or, if you’re so inclined, invade another player’s game and battle against them for notoriety points. There’s also dozens of unlockable cars, weapons and even songs for you to listen to in your car, enough that even the most venerable achievement hunter will likely give up before they get them all. One of the biggest aspects in open world games is how the world feels as early versions of Grand Theft Auto had a very lonely vibe to them, almost post-apocalyptic like given the lack of people and cars that were around. For me Watch_Dogs felt about as alive as Grand Theft Auto did although I’ve heard many say that it feels no where near the same. Whilst the city does have a lot of detail in it the variance of the people is a little on the low side as I can’t tell you how many times I ran into the same group of beatboxers throughout the city. On the flip side the little profile descriptions you get for everyone are extremely varied which is a nice little touch. Indeed I think the lack of detail in some areas is due to the wide variety of detail in others which is a classic symptom of time constraints, something Watch_Dogs was unfortunately plagued with. You’ll be doing a lot of driving in Watch_Dogs which is a little bit unfortunate as it’s probably one of the lesser aspects of the game. The initial cars you get access to all feel like boats, being incredibly sluggish to respond and even less so when there’s several police cars ramming into the back of you. Thankfully the later cars go a long way to improve this but then it becomes a choice of driving a flimsy, well handling car and something that can take a beating which retains that god awful boat like feeling. In all honesty I’m not that surprised that the driving is sub-par, it’s an incredibly hard thing to get right, however if you’re going to rely on that to be your player’s main way of getting from point A to point B you’d better make sure it’s enjoyable. I’m sure subsequent sequels of Watch_Dogs will improve on this dramatically as this is Ubisoft Montreal’s first game to prominently feature driving as a mechanic. Combat feels much like any other 3rd person shooter with your typical infinitely regenerating health and aiming systems I’m sure need some assistance when used on a console. Most encounters are done in 2 phases: the first being the part where you stealth around, take out as many enemies as you please and generally cause havoc. Most of the time this will result in you getting detected and a firefight will break out although if you’re careful there are numerous times when that can be avoided altogether. 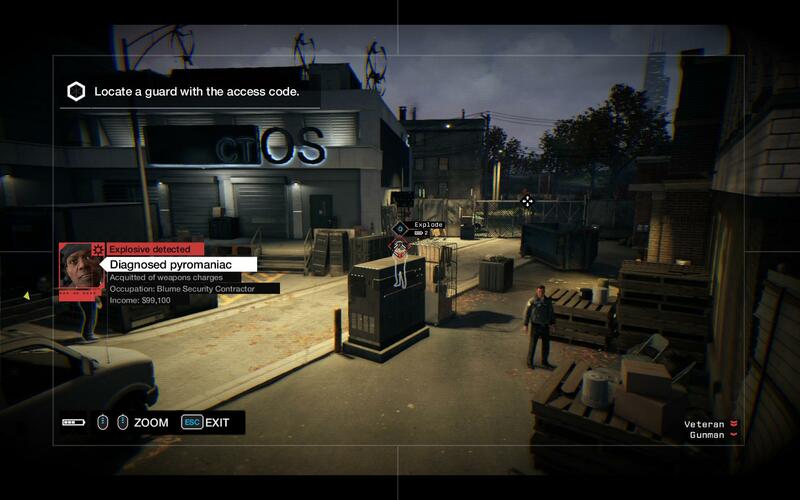 To Ubisoft Montreal’s credit the stealth system is well thought out and the majority of the times I was detected were due to me not being careful enough, rather than the NPCs having eyes where they shouldn’t. For the most part it’s challenging and satisfying, with the short reload times ensuring that you’re not left waiting long to fix your mistakes. The “hacking” mechanic is essentially a power that your character has, enabling you to do certain things to the city due to it all being interconnected via a giant system called ctOS. Your powers are rather limited to begin with, being able to hack cameras and traffic lights, but as you level up all manner of crazy powers will be bestowed upon you. Some of them are plausible, like the ability to raise/lower road blockers, whilst others, like blowing up steam pipes, are almost enough to be called magic. The hacking mini games are just an elaborate puzzle sequence, one which can usually be figured out rather easily through trial and error. All in all it’s a solid idea to base the game around however having one button to execute everything makes the powers feel a little too easy to use. Maybe a short quicktime event (I can’t believe I’m writing this) would be sufficient to make the powers feel a little more impactful as right now they make you feel like a script kiddie rather than an elite hacker. The levelling and progression system strikes the right balance of progression and choice, giving you enough points to get something in everything very quickly and then forcing you to make hard decisions about which way you want to build your character. The unlockable system also feels rather well done as should you want to unlock the new abilities typically it will be the first or second one you’ll get, meaning you don’t have to spend an inordinate amount of time grinding missions to unlock them. Achievement hunters on the other hand will have a lot of work ahead of them as the myriad of guns and cars available to unlock will likely have them clearing out whole city sections before finishing off a chapter in the campaign. 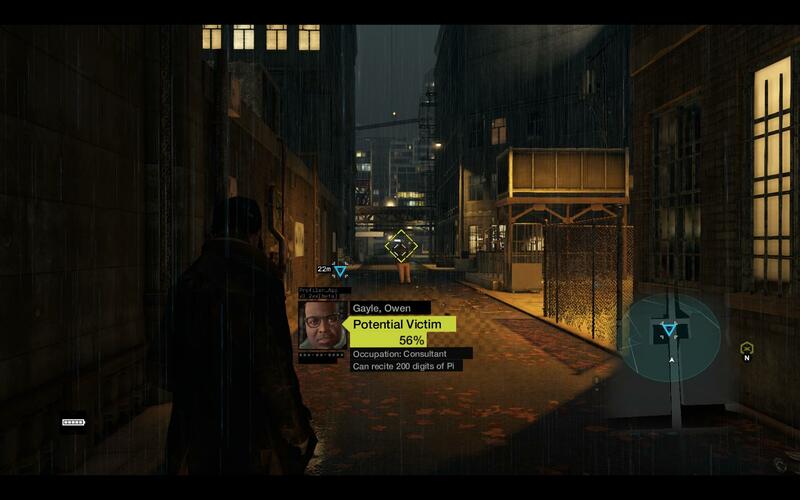 Like most open world games there’s a bunch of emergent behaviour in Watch_Dogs, some of it good and some of it bad. There’s always the hilarious situations you can cause by changing traffic lights (even when you’re not being chased by the police) and the AI sometimes reacts in the strangest ways to your presence, like random NPC cars running each other off the road should you come a little bit too close to one of them. At the same time I’ve had several missions that I had to restart at a checkpoint due to things like destructible terrain blocking my path, my character’s ragdoll physics glitching out causing him to get stuck on the ground or things not spawning (or the wrong things spawning) preventing me from going on. It probably happened about half a dozen times throughout my playthrough so it’s nothing major but I’ve heard the issues are magnified somewhat on older consoles. The story of Watch_Dogs deals with a lot of very mature themes however some aspects of it do feel like they ring hollow. Thinking back on it there were a lot of characters that the story seemed to assume that I’d have some kind of empathy for but, and I’m not sure if this is a function of me playing mostly campaign missions, I feel like they didn’t have sufficient screentime to justify it. There are some shining moments though with Aiden embracing his anti-hero qualities with gusto however they seem to get undone almost instantly in the scenes that follow. The lack of player choice and influence on the story will also annoy some but that’s not something I’ll fault Watch_Dogs for. All being said it’s passable, especially for a first entry into a new IP and genre for the developer, and hopefully future instalments can build on this in order to make the story much more engrossing. Watch_Dogs is a great first entry into a new open world IP, building around a solid core mechanic and adding in all the things that we’ve come to expect from games in this genre. The combat, progression systems and hacking mechanics are all well done, providing dozens of hours of challenge and rewards for even the most seasoned achievement hunter. The driving leaves something to be desired and will likely be the biggest let down for open world fans who are still coming down from their GTA high. The story reaches a little far beyond its grasp, lacking the appropriate amount of buildup to elicit the emotional conclusion they were looking for, however it should serve as a decent base for the subsequent releases. All in all Watch_Dogs is a great first entry into this new series, one I feel that’s only going to get stronger as time goes on. Watch_Dogs is available on PC, PlayStation3, PlayStation4, Xbox360 and XboxOne right now for $89.95, $89.95, $99.95, $89.95 and $99.95 respectively. Game was played on PC with approximately 16 hours of total play time with 44% of the achievements unlocked. 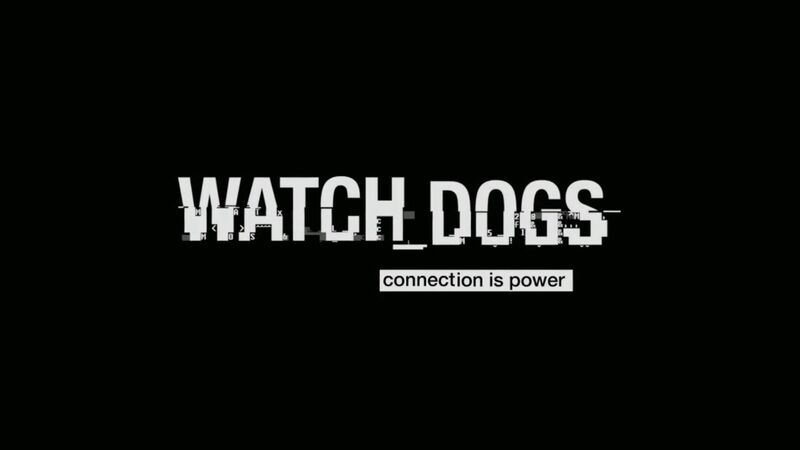 Pingback: The Refined Geek » Watch_Dogs 2: Join the 1337 h4x0r5.